LG has announced that it will be launching a new range of LG UltraGear Gaming Monitors at IFA 2018, which kicks off later this week. 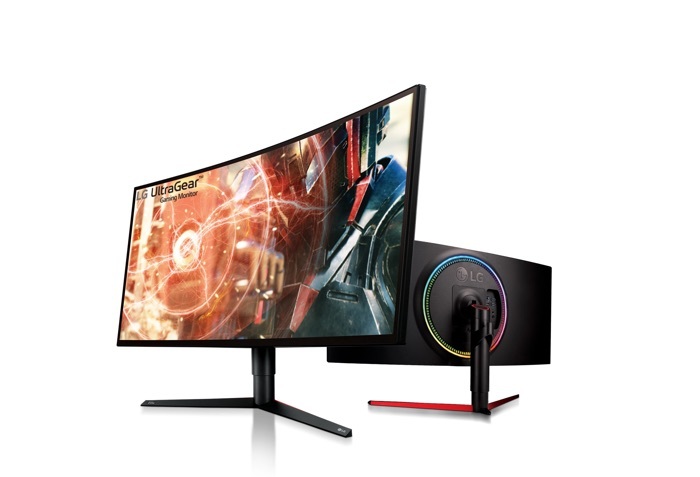 The new LG UltraGear Gaming Monitors will come with an UltraWide 21:9 screen, the flagship model will come with a 34 inch 4K display. LG has long been recognized for its monitors, including the best-in-class picture of the LG UltraFine™ and the productivity-enhancing properties of the LG UltraWide™ 21: 9 monitor. UltraGear is the name of LG’s new gaming monitors that deliver the ultimate in high-performance entertainment. With their optimal picture quality and lightning-fast processing speed, these monitors are ideal for all genres of games. The LG UltraGear lineup gives gamers the edge to play at their highest level and in gaming that could mean the difference between winning and respawning. The flagship UltraGear model 34GK950G boasts the most powerful features in the lineup with unprecedented picture quality thanks to the Nano IPS display technology that covers 98 percent of the DCI-P3 color space. The same display also accurately recreates colors across over 135 percent of the sRGB color space. With NVIDIA G-SyncTM graphic processing technology built-in, the UltraGear 34GK950G provides smooth motion without tearing or stuttering. What’s more, its high refresh rate of 120Hz (overclocked) means that objects are rendered more clearly for smoother gameplay and seamless visual fluidity. You find out more details about the new LG UltraGear Gaming Monitors over at LG at the link below.